When you think "Spring Break," think Branson! It’s the perfect time to check out all of the attractions, shows, adventures and fun Branson has to offer. Mar 01 2019 at 9 a.m. When you think "Spring Break," think Branson, Missouri! It's time to begin planning activities with friends and family to take advantage of the season. 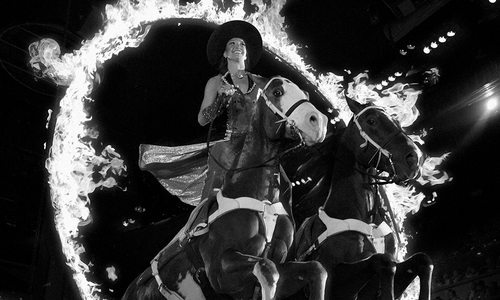 Take in an incredible entertainment experience by seeing a show at Silver Dollar City during their Festival of Wonder, featuring all-new, astonishing acts to excite the senses and spark curiosities. Experience a piece of history at the Titanic Museum Attraction and learn what it might have felt like to climb the Grand Staircase. Hear lions and tiger roar during a guided tour as you get up close and personal in a safe environment at National Tiger Sanctuary. Indulge in a dining experience a level above the rest at Level 2 Steakhouse in the Hilton Branson Convention Center. Situated on the Branson Landing, visit Andy B's for a happy hour, date night, family fun night or just a casual get-together with friends or colleagues—their extensive list of social activities goes well beyond the boutique bowling they're known for. 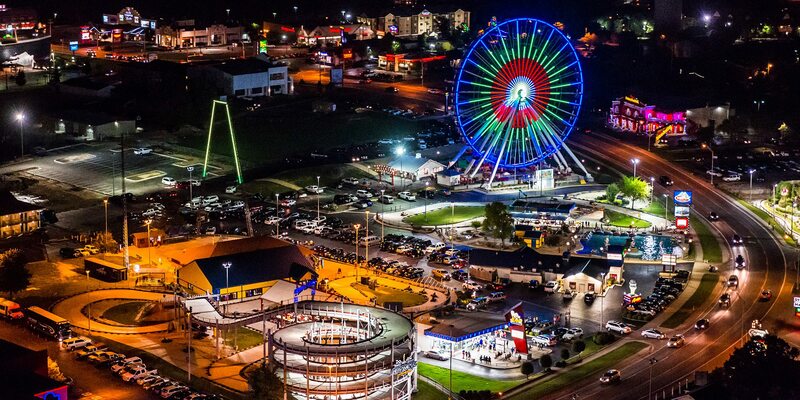 Take in the Branson skyline from new heights while riding the iconic Branson Ferris Wheel at The Track Family Fun Parks. Interested in spending a few days in Branson? Why not treat yourself to a AAA Four Diamond Resort and stay at Chateau on the Lake. Are you ready? 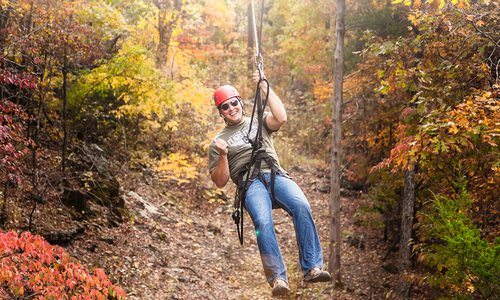 Use this guide to the best things to do in Branson to start planning your next adventure now. A new era of bold entertainment begins at Silver Dollar City in 2019. 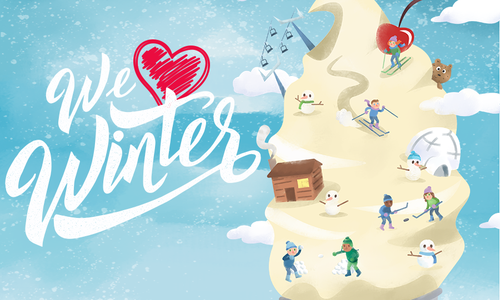 It’s the Year of Shows & Festivals, and it all starts with Spring Ride Days, where your family can thaw from winter on the world’s fastest, steepest and tallest spinning coaster, Time Traveler, along with 40 other rides and attractions and award-winning entertainment. Be sure to put the dates on your calendar for March 13–17, 20–24, 27–31 and April 5 and 7. You can also look forward to the Festival of Wonder, April 10–28. This “most amazing entertainment experience” features all-new, astonishing acts to excite the senses and spark curiosities. 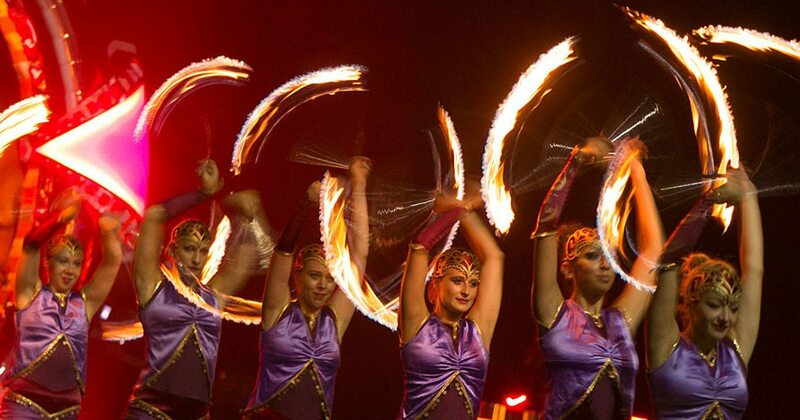 The new Phoenix Fire production creates a new dimension of entertainment for the guests of Silver Dollar City, as the world leader in pyro and special effects theatrics forges a level of entertainment that’s unprecedented at the 1880s-style theme park. 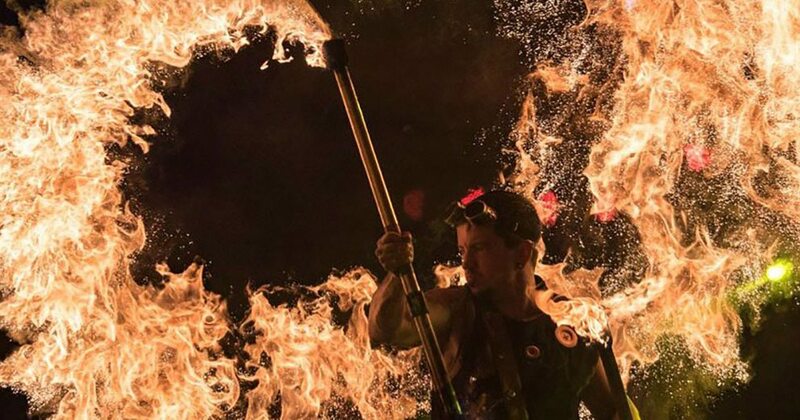 This fiery performance joins the ranks of the festival’s collection of extraordinary feats of strength and balance, CirqUnique, with five new acts, including the high-flying Duo Ignite, direct from America’s Got Talent. Also performing is the new I-Harp Extreme, with award-winning Irish and Italian harpists performing a variety of notable and fan-loved songs. The high-adrenaline X-Pogo act and extreme-speed Paint Jam show also return to The Festival of Wonder. To close out the spring, Silver Dollar City presents the internationally awarded Bluegrass & BBQ Festival May 2–27. This can’t-miss event includes live stage performances from top artists like Flatt Lonesome and Rhonda Vincent & The Rage, along with plenty of tasty BBQ. New for 2019 is Bluegrass Nights, presenting nightly concerts in Echo Hollow Amphitheatre. Make your way to the Titanic Museum Attraction in Branson to see something special this season! 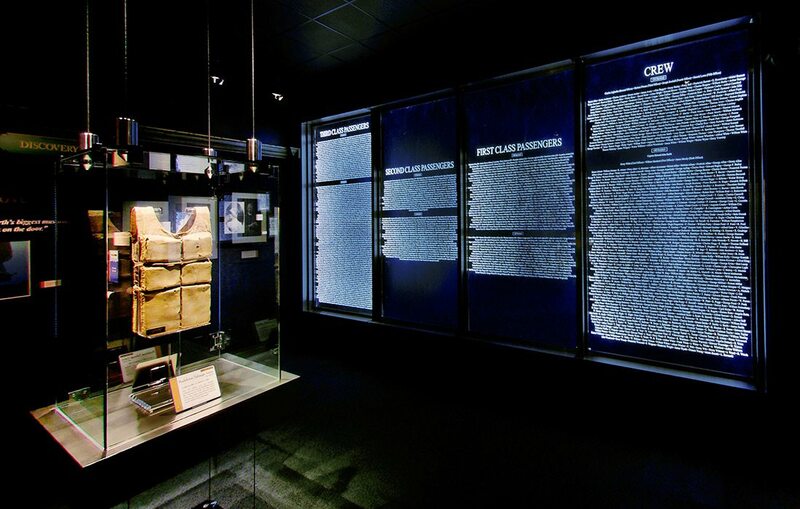 Their world exclusive exhibit is on display March through June 15, 2019, and will feature life jackets from the famous ship. When Titanic sailed her maiden voyage in 1912, she was outfitted with 3,560 life jackets, and only 12 are known to exist today. 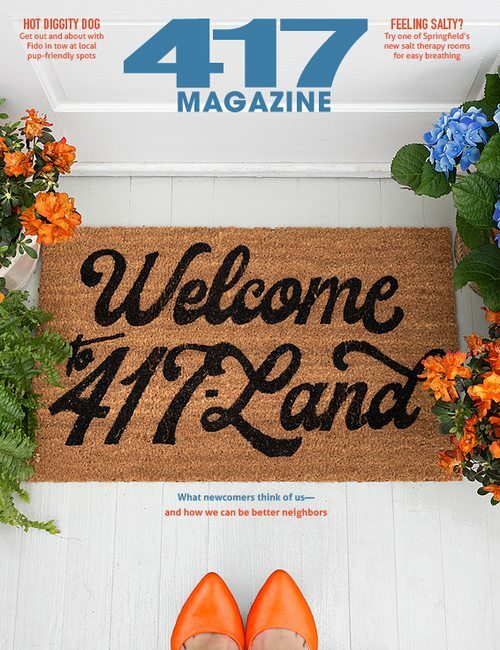 Seven of those twelve will be included in their exhibit, right here in 417-land! There’s a story behind each life jacket, but an especially intriguing history comes with one of them, 107 years in the making. This story is tied to a real Lady. Lady Duff Gordon was rich and famous, the grand dame of the fashion world, when she boarded Titanic with her husband, Sir Cosmo Duff Gordon, and her personal secretary, Laura Francatelli. Within days she was tied to a life jacket, tossed into a half empty lifeboat and set adrift with 11 others. It happened so fast… the iceberg, the panic, the sinking, the rescue and the terrible accusations that followed. Soon the blame-game began, and the Duff Gordons were called to account for unethical actions attributed to them. Ultimately their lives were saved, but their name was tarnished forever. While on the rescue ship Carpathia, the 12 lifeboat survivors signed their names on each others’ jackets. The one worn by her secretary, Laura Francaelli, will occupy a place of honor during its first public showing at Titanic Museum Attraction. Come and hear its dramatic story and experience Titanic for yourself! 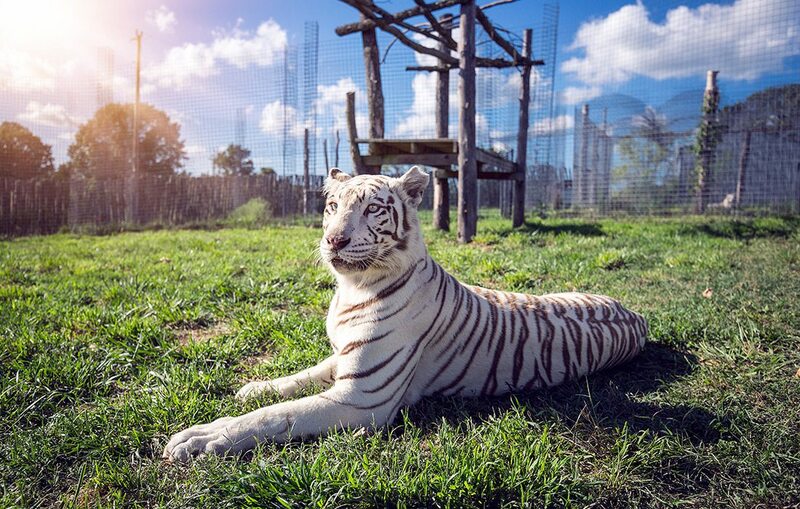 National Tiger Sanctuary is a non-profit rescue organization that provides a permanent home for exotic and domestic animals. Their diverse learning campus is dedicated to education, preservation of the environment and exemplary animal care. Guided tours are available Wednesday through Sunday year-round. Meet the sanctuary’s animal residents up close and personal in a safe environment, and see big cats and other exotic animals like you’ve never seen them before. Riding and walking tour options are available and can offer visitors the opportunity to learn about the animals, watch them eat and even feed them yourself! Join Level 2 Steakhouse in the Hilton Branson Convention Center Hotel and dine a level above the rest. They pride themselves on having the highest quality meat and ingredients from their 28-day aged corn-fed Midwest Beef, highest quality and responsibly harvested seafood, heritage Missouri pork, locally grown produce and signature house-made desserts. Their 1600° Infrared Oven quickly sears the outside of their steaks, producing very tender and juicy steaks. Level 2 Steakhouse offers 5 distinctive steak knives to choose from while dining there. Join the Kut Klub and have an engraved steak knife all your own. They also offer complimentary valet parking! For reservations call 417-243-3433 or visit Level2Steakhouse.com. Welcome to Chateau on the Lake Resort Spa & Convention Center, Branson’s only AAA Four Diamond Resort. 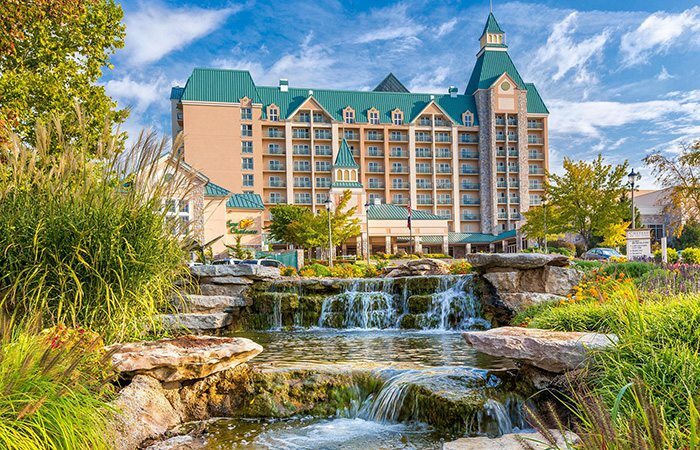 At Chateau on the Lake, upscale resort amenities, elegant lake views and friendly Midwestern hospitality converge in an idyllic Ozark Mountain oasis. Just minutes from Branson’s entertainment district on 76 Country Boulevard, Chateau on the Lake is the perfect retreat to experience Table Rock Lake, Silver Dollar City and Branson’s many live shows and attractions. Resort amenities include a full-service marina, spa, indoor and outdoor pools, a supervised kids’ club, a movie theater, tennis courts, nature trails and more than 50,000 square feet of event space. 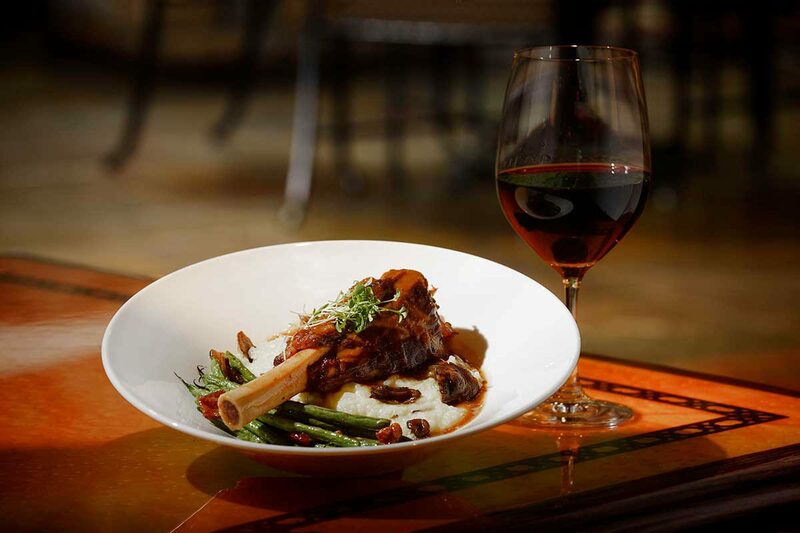 And the resort’s award-winning onsite dining options—including local favorite Chateau Grille—are truly a destination unto themselves. At Chateau on the Lake, you will discover everything you need to create a spectacular family vacation, romantic getaway, wedding or other special event. Situated on the Branson Landing, Andy B’s is your go-to entertainment destination. Whether you’re planning a mid-week happy hour, date night, family fun night or casual get-together with friends or colleagues, Andy B’s has you covered. There you’ll find undeniable eats, hand-crafted beverages and a handful of games and attractions, bottled up into a modern, industrial hangout with some mid-century attitude. 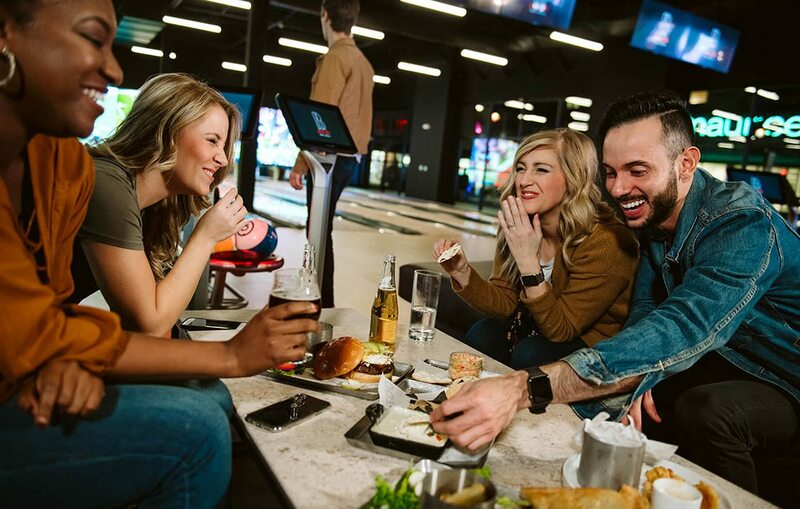 The extensive list of attractions at Andy B’s Bowl Social goes well beyond the boutique bowling the Andy B’s brand is known for. From private karaoke rooms, escape rooms and soccer pool to classic table games like shuffleboard and ping pong, plus a selection of popular board games, Andy B’s Bowl Social offers something fun for everyone in your crew. 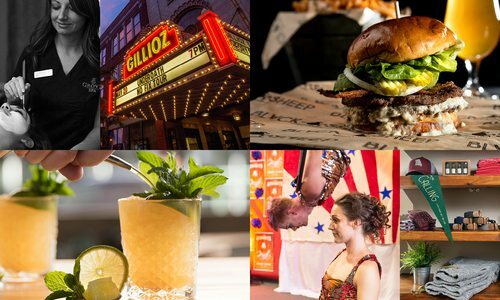 Add to that a full-service restaurant and bar featuring irresistible eats, craft cocktails and local brews, and you have all the ingredients for an experience to remember. Dine, play, bowl, let loose and live it up! The Track Family Fun Parks provide the fastest way for your family to have fun together in Branson—especially with the 2019 addition of a brand-new thrill ride, the Skyscraper! Secured on a base tower standing 80 feet tall, the windmill-style propeller arms of the Skyscraper extend to 160 feet long while riders experience speeds up to 60 miles per hour. With each revolution, thrill-seekers can take in the breathtaking Branson skyline—at least for a moment. 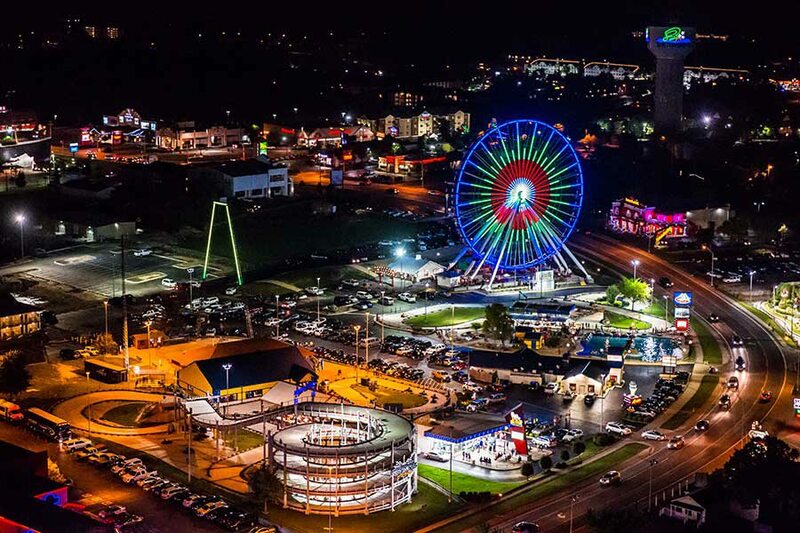 Standing tall on that horizon is The Branson Ferris Wheel with its 16,000 color-changing LED lights. All of this is in addition to the 12 different go-kart tracks that offer family-style go-kart racing for every age level, bumper cars, arcades and the Skycoaster. The Track Family Fun Parks have something at every speed for every age! Head over to bransontracks.com or call 417-334-1612 to learn more.